An introduction into how to buy art while offering an accessible way for residents to discover and engage with the art world, as part of the Abu Dhabi Art’s programme. It will see 10 of Abu Dhabi Art’s regular participating galleries presenting photography and paintings for sale at prices ranging from Dh350 to Dh15,000, as well as limited edition prints and paintings by established artists. Open from 9am to 8pm at Gallery A in Manarat Al Saadiyat, until June 8. Opening reception today 6-8pm. The music series returns for season 29, with a line-up of musicians ready to showcase their original material. 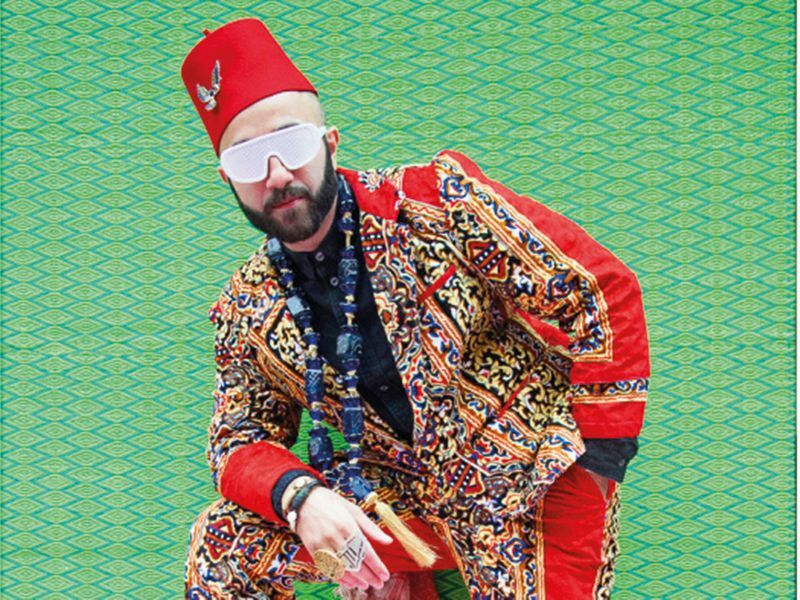 Kicking off is Zero Funks (above), supported by Jaysus, at The Fridge Dubai, Alserkal Avenue. Doors open at 7.30pm, show at 8pm. Entry free for those aged below 13, those aged under 21 pay Dh30 at the door and Dh50 for adults. 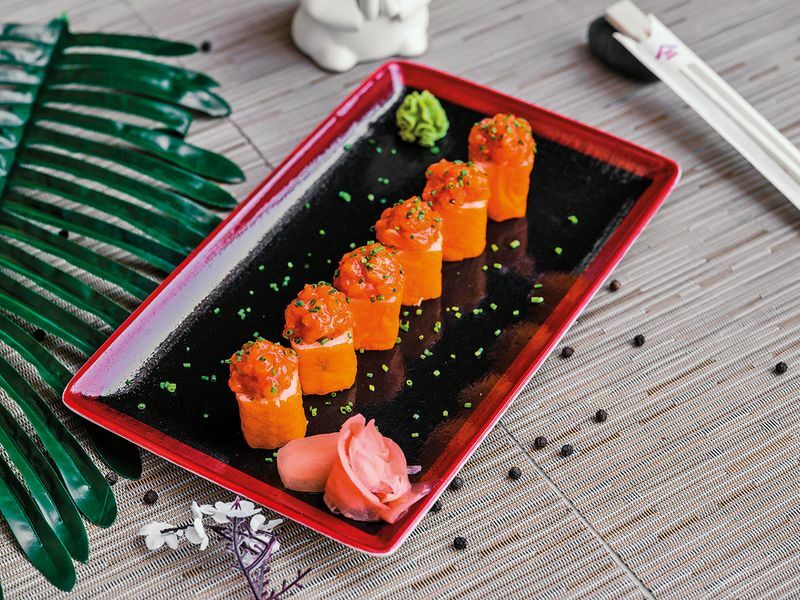 Tanuki at The Dubai Mall is offering diners any plate of maki from its fusion menu with over 25 different varieties to choose from, for Dh25, between 6-11pm every Monday. Straight after work, head to DIFC’s Botanical Gardens at Dubai’s only private members club, every Monday at the Capital Club, 8-11pm, offering three free beverages for women and 50 per cent off the sushi menu and 25 per cent off for mixed groups. Street food is the new fine dining at Armani/Amal where hawker flavours will be the highlight of the month. Take your pick from Amritsari stuffed kulchas, pani puri shots from Uttar Pradesh, a unique take on chaat, samosas, vada pao sandwiches and pav bhaji. Dh40 per dish, available daily 6.30-11.30pm until May 5. Grab your sunnies and head over to Kite Beach, where little ones can learn how to create sand sculptures, with the master of sand Daniel Coriga (Dh50 spend required). Ongoing from 10am to 6pm, until April 13, the beach destination also hosts additional activities on weekends for little ones, such as a tug of war, a sack race, an obstacle course, beach bowling and limbo. Guests purchasing the Wagyu burger can avail the opportunity to add a beverage bottle for one dirham, at Jones The Grocer Express, Dubai Creek Golf & Yacht Club. Valid until June 30, every Sunday to Thursday, from 4-9pm. Tips & Toes is offering its new gemstone massage for Dh10, by adding it to any nail service throughout April. With rose quartz for the hands to clear toxins and relieve stress, and jade for the feet to heal and protect; to leave you feeling balanced. Also, beauty bargains with 35 per cent off a selection of retail products, including Farsali, 50 per cent off a range of human hair extensions. Available at all branches in the country. Commemorate Songkran and recreate your own Thai New Year water festival surrounded by the Burj Lake. Set menu of authentic family-style dishes at Thiptara, Palace Downtown, available from today until April 30, at Dh410 per person, from 6-11.30pm. Free outdoor cinema experience for the family while lounging on bean bags by Festival Bay at Dubai Festival City. A series of blockbuster favourites are lined up, with Finding Dory on the schedule tonight. The outdoor cinema seats 150 people, and screens one movie every night, Sunday to Wednesday at 7pm, until April 22. Free for all. Tomorrow Cars 3 will be shown. Pierre’s Bistro & Bar, designed by Michelin starred Chef Pierre Gagnaire has launched a paired cheese evening that runs every Monday. Dh100 per plate of cheese or Dh125 with a pairing beverage. At the promenade level, Dubai Festival City. Roll up your sleeves and throw the dice to win with the giant interactive board game. Obstacles along the way can bring you back to the start, but there are spot prizes to be won as you make your way to the top. At Manar Mall, Ras Al Khaimah. Spend of Dh100 required, to get into game mode. From Thursday to Saturday, 4-10pm, until April 12.